All bible quotes are taken from the ESV except where noted otherwise. This is an excellent place to develop the lesson theme since Jesus was talking to someone who was a social outcast twice over, being both a Samaritan and an adulterous woman. The opening paragraph of the lesson tells the story of what appears to be a modern day true story of a woman who has ‘an unbelievably sad and horrible background’. The problem with the lesson isn’t about how terrible her life was. It is implied that her life has been totally changed for the better without telling us what was changed or how change came about. The Quarterly lesson tells us nothing more about this woman. A much more appropriate introduction might have been to draw attention to the ‘living water’ Jesus spoke of to the Samaritan woman in John 4:7-15 by which she would never thirst again. Furthermore, from God’s point of view we, as sinners dead in our sins, are all born into this world as ‘social outcasts’, Rom. 3:23, and fall infinitely short of the glory of God. Another approach could have been to explore what Jesus meant when he said worship would no longer be about where to worship. Then, as she spread the words of Jesus to those she knew, could her story could be tied in with the intended theme of discipleship. Jesus declares that he has ‘living water’ and when you drink of it you will never be thirsty again. Since it was very hard work for the Samaritan woman to get the only kind of water this woman knew of she wanted what Jesus had to offer. Jesus reveals to her, whom he had just met, that she is an adulteress. From this she concludes she is speaking with a true prophet because she knows only God or a prophet of God could reveal to her these secret things of her heart that an ordinary perfect stranger could not know. In the time of this encounter, you didn’t go to the synagogue on the Sabbath to worship God. Rather, you went to the temple (or the mountain the woman mentioned) on certain ordained festival days which didn’t necessarily fall upon the weekly Sabbath day of rest. In response to her question of where is the proper place to worship God, Jesus informs her that very soon it would no longer be about where to worship. Rather, true worshipers would soon worship God “in spirit and in truth”. Since sinners are dead in their sins, Col. 2:13 & John 3:1-21, the first need of a sinner is salvation before God can be worshiped because we cannot worship God if our human spirit is dead. Concerning worship no reference to a certain day is implied here nor is it commanded anywhere else in the New Covenant. For the Hebrew people (who were under the Old Covenant) to obey the command to keep the Sabbath Day holy they were commanded to rest from all their work on that day, Ex. 3:8-11. We certainly are to worship God but it has nothing to do with ‘Sabbath Keeping’. Very quickly in this discourse she knows she has met the Messiah. What happens next, as she spreads the word in her village, suggests to us that she has become one of Jesus’ disciples. The problem with the lesson is that her being a social outcast is simply the backdrop to the eternal truths Jesus revealed to her and recorded in Scripture for our benefit. This message includes for us to know that, no matter whom we are or what we may have done, we can become a disciple of Jesus and know we are secure eternally in his salvation, Romans 8:31-39. In the lesson for today the very lowest in society ‘such as prostitutes, substance abusers, criminals, the homeless’ along with ‘lepers and tax collectors’ during the time of Christ here on earth are ‘Bottom Dwellers’. The use of the expression ‘Bottom Dwellers’ for an Adventist is an obvious allusion to the Health Message, with the Bottom Dwellers being the worse of the unclean animals. In-other-words this is the most extreme of insults an Adventist could bestow upon a person. The lesson asks that we read two very excellent passages, Matt. 21:28-32 and Luke 15:1-10. The message is that sinners who believed the message preached by John the Baptist and repented of their sins go into the Kingdom of God long before the self-righteous Pharisees and others like them who did not believe. Rather than focusing on something as subjective as our social status, the foundational question that each of us should be asking is; what were those such as the Pharisees doing or not doing that was keeping them out of the kingdom of God? God does not, never has and will never view the condition of a person via their social status because we all are dead in our sins. Not until a person believes through faith in Jesus Christ has that person been “propelled” ahead of the self-righteous. Social status had nothing to do with it. The question of ‘why was Jesus apparently more effective’ (in reaching the ‘Bottom Dwellers’) approaches the danger of being heresy because it implies he might have been less than perfect in all that he did. As the Son of the Father his authority, powers and holy attributes were equal to that of the Father, John 16:15. We should not even seem to suggest that anything Jesus does or has ever done is anything less than foreknown, foreordained and totally perfect. What keeps anyone out of the kingdom of God has nothing to do with their social status. It is because we are all sinners and sinners are born with a dead human spirit, John 3:1-21. The effectiveness of Jesus’ preaching is not the issue. Some are willing to believe, ‘Bottom Dwellers’ or not, and are drawn by the will of God and some are not willing. In the eyes of God social status is not the defining attribute that sets one person apart from all others. Either you are a repentant sinner whose sins have been covered by the blood of Jesus Christ or you are someone still dead in your sins. Jesus teaches all who would join the kingdom of God that they must be born again of the spirit. To have this happen you must come to Jesus in faith, John 3:9-21. Social status is a sinner’s worldly concept unrelated to God’s standard for a sinner’s entry in his kingdom. The Bible speaks of only two classes of sinners, those who have the faith of Abraham (Hebrews chapter 11) and those who have ‘hard hearts’. The ‘Bottom Dwellers’ (or anyone else) who approach God in faith, ‘as little children’, and simply confess their utter depravity before God find the mercy of God. Out of the hardness of their hearts the scribes and Pharisees practiced self-righteous works which are of no value when approaching a perfect and holy God. As an Adventist do you believe there are any practices (works or deeds) of your own that will gain you favor with God? If so it would be good to review Scripture and learn what it takes to gain entry into God’s kingdom. Remember what Jesus called the works of the Pharisees versus the faith of the Bottom Dwellers he promised to give rest. The irony of the lesson is the use of the title ‘Bottom Dwellers’ as a metaphor for the social outcasts Jesus invited into the kingdom of God when you compare this expression with the Adventist teaching that a person must give up a diet of Bottom Dwellers which are understood to be the vilest and lowest of the unclean meats Adventists are forbidden to eat, ranking alongside with that of eating pork. Whereas Jesus simply said to the social outcast to; “come unto me and I will give you rest”. Obviously, in order to maintain a consistent lesson metaphor you should be including ‘Bottom Dwellers’ in your health message menu. Today’s lesson centers on the well know account of the woman who was caught in adultery and brought before Jesus who was teaching at the temple as recorded in John 8:1-11. This account is a good example of just who Jesus is and reveals his love for the oppressed without overlooking their sin. However, the shortcoming of this lesson is that it is developed around a series of undocumented assumptions which a good student of Scripture would want to search out for themselves to see if they are true in the same way the Berean’s searched Scripture to see if the Apostle Paul’s preaching was true, Acts 17:11. The statement ‘having refreshed himself’ excludes without justification other possibilities as to why Jesus spent the night at the Mount of Olives and is something our theme text simply doesn’t say. If we read the preceding verse we learn that the others Jesus was with spent the night in their homes. It could have been that Jesus simply had no other place to spend the night if you consider what Jesus said about himself in Luke 9:58. Moving on, why say ‘dragged’ when Scripture simply says the woman was brought before Jesus? In the lesson we are told in detail how the purpose of the scribes and Pharisees was entrapment whereas in our theme text we only learn that it was a test so they could bring a charge against him. While this seems likely true saying so should have been supported with creditable references. Then, the lesson says the woman was ‘unfamiliar with Jesus’ ministry, she could not have known His merciful nature’. Really, on whose authority can it be said what the woman knew about Jesus? Why say sinners are ‘obligated’ to be merciful when it is in the very nature of sinners to sin and not have mercy? That would be like declaring that criminals must exercise good moral ethics when committing a crime? Finally, when Jesus spoke to the woman he didn’t tell her to “live a better life” which would have placed the focus on her behavior. What Jesus said was to “sin no more” without revealing to us in this passage how that is possible. The self-righteous would-be judges of the woman ended up being the ones judged. The woman’s accusers failed to bring before Jesus or even mention the man who committed the sin of adultery with this woman. Sin is never overlooked yet Jesus sees into the woman’s heart and gives her mercy. At that moment, without having done even one righteous deed of her own, she is now a disciple of Jesus Christ. Jesus displays his godly attributes by seeing into the hearts of all sinners. The unrepentant would-be judges departed out of apparent guilt. Whereas, Jesus as the Son of the Father and very God himself had the authority to forgive the woman’s sin without the text informing us what was in the heart of this woman. All she said is that her accusers were gone. In Mark 5:1-20 we read the story of when Jesus and his followers came into the country of the Gerasenes and were confronted by an uncontrollable demon possessed man living in the tombs. We quickly learn it is the demon speaking to Jesus instead of the man himself. In the lesson the claim is made that the ‘crucial point’ is that ‘no one, no matter how deranged…..is to be ignored’. While it is true that a person in such a condition should not be ignored, it is not the main point of Jesus’ encounter with this man and the demons which possessed him. Instead of getting sidetracked by generalizing this topic by including what is thought to be related adverse mental conditions many are suffering from, it would be better to focus on what this passage of Scripture actually says and is teaching us. The critically important point we learn here in this text is that only a holy, loving and righteous God in the person of Jesus Christ has the authority, understanding and power within his own self to confront demons. None of the others here in this account could physically control this man much less deal with the source of his torment. Later, we learn where Jesus empowered his disciples with his own authority and power. Jesus used his power and authority to directly confront the demons within this man. When Jesus commanded the demons, the name of which we learn is Legion, they had no choice but to obey. Jesus gave them permission to inhabit a herd of pigs which immediately drowned. Having lost two homes in quick succession one has to wonder where the demons ended up next. A point of more significance to us is that demons really do exist. When Jesus the Son of God performs a miracle in a person’s life it is a complete perfect work. While important to do so, Jesus didn’t just restore the man to his ‘right-mind’ or see to it that he had clothes to wear. Jesus made sure the demons could never return. When God has mercy on you it is perfect mercy. You can no longer be possessed by demons. The man wasn’t just someone who was cleaned up on the outside and inside. No demon could return and call him ‘home’. The mercy Jesus speaks of is that the man went from demon possession to now being a disciple of Jesus and in the kingdom of God with instructions to tell all his friends how much the Lord has done for him. We learn two fundamental and astounding things here. The first is that these returning seventy-two disciples were eternally saved with their names “written in heaven”. The second is that it was more important to rejoice over their names having been written in heaven rather than the authority Jesus had given them over the demons. This brings us to one significant passage of Scripture that actually applies to all Christians but is especially important for anyone who would venture to reach out and bring freedom to a demon possessed person. In Eph. 6:10-20 we are implored to have on the full armor of God for the very real warfare that all Christians have against the devil and his cosmic powers. This armor includes the ‘sword of the Spirit’ which is the word of God which can only be found in the Bible. Vital to understand is that salvation includes having the indwelling of the Holy Spirit which is part of the full armor of God. And because of this you can know that your name is written in heaven as Jesus says in Luke 10:18-20. Scripture is very clear on the subject of demon possession. Demons are real and certainly a problem that exists even in our age. Christians should be knowledgeable on what Scripture teaches as that is the only reliable and safe source for understanding what we need to know concerning the unseen demonic powers. Paul, along with many present-day Christians, had the God given gift and authority to cast out demons. None of us should dare confront demons acting on our own as the demonic powers are far beyond our human strength as exemplified in the account recorded in Acts 19:11-20. Every Christian should know that even our common everyday struggles are ultimately against the cosmic evil powers ‘of this present darkness’ where we are encouraged to have on the full armor of God. A recognized definition of ‘disciple’ is ‘someone who accepts and helps to spread the teachings of a famous person’. Within the context of this lesson, this ‘famous person’ can only be our Savior Jesus Christ with eleven of his original twelve apostles becoming the nucleus of his early disciples. 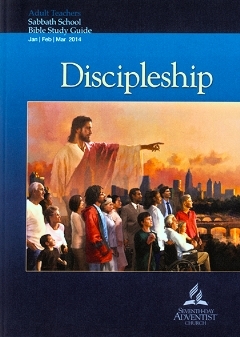 Jesus gave his authority to the original eleven disciples to make disciples of ‘all nations’. Since Jesus only gave this authority to his disciples to make other disciples of his it is important to understand just who is a disciple of Jesus Christ. When Jesus originally sent out his disciples to go on ahead of him, they on their return to him were excited that even the demons were subject to them in his name. Jesus told them to rejoice rather in that their names were written in heaven. As modern day disciples of Jesus Christ we learn in Scripture that there can be no prophet that comes after our Savior because he is the final word. There can be no modern day prophet whose words have equal authority with the Bible. The book of Revelation is the final words of prophecy from Jesus Christ. There is a curse directed towards anyone who would add to or take away from this final revelation of Jesus Christ. Not even a righteous person can successfully question or challenge the purposes of our holy God. Those who believe God’s character must be vindicated should repent in dust and ashes or face the wrath of our Almighty Sovereign God. Today’s lesson focuses on the ‘class distinctions, prejudices, and cultural and ethnic boundaries’ that would not exist except that we live in a fallen world and that these conditions will only get increasingly worse prior to the return of Christ. As Christians it is our duty to ‘transcend’ these barriers ‘whom society rejects as the greatest outcasts’. The theme of today’s lesson is a very noble goal for all who would call themselves a Christian. It is important to remind and stress that before you can take the gospel message of redemption to anyone in this fallen sin infected world the reality of salvation must be true in your own life. To be real it must be founded solely upon the revealed word of God found in the Bible. It is certainly without question that Christians are compelled, because of our Savior’s command to “love our brother in the same way we love God”, to be reaching beyond the boundaries that divide this world. Today’s lesson however does not focus on and address the root problem that undergirds the various forms of evil we perpetuate upon each other. In Romans Three we see where the Apostle Paul’s general theme includes our righteousness, or rather our lack of righteousness within ourselves where he mentions the advantages of the Jews because they have been entrusted with the oracles of God. Only God is true and the sole source of anyone’s justification, Rom. 3:1-8, Jew or Gentile. So, how does one become a person who obeys God and fulfills the Great Commission, Matt.28:18-20, or even the command to love others in the same way we are to love God, Matt. 22:34-40? For that matter, how does one really love God when you consider that the above passage declares that what we all do, as sinners born in sin, is worthless in the sight of God? If you are one who would desire to reach the ‘Publicans and Sinners’ with the biblical gospel message of redemption you must first be justified in God’s sight yourself. For having this happen in your life there must be an answer other than the works of the law because we have just seen that none will ever become justified in this way. Romans 3:21-31 is the key to understanding the source of our righteousness and justification in the sight of God. There are no class distinctions among sinners because we all fall infinitely short of the glory of God. Yet, through the propitiation of Jesus Christ put forward by his shed blood sinners who come to him in faith are fully eternally justified. Propitiation means Jesus, who is totally holy and righteous, ‘put on’ our sin and paid our penalty of death. He offers the gift of eternal life to those who come to him in faith, Acts 16:30-31. To assume the duties of a Christian and obey the Great Commission you must first be a Christian before you can reach out to the ‘Publicans and Sinners’. Christians are to cross all social barriers because from God’s perspective as sinners we all fall equally infinitely short of his glory. To not desire to act in this way would be to not understand our own personal depravity in the sight of God before our sins were covered by the blood of Jesus Christ. The only message worth preaching to a person who is dead in his/her sins is a message that will bring about regenerative spiritual life. This is why one must understand that the complete gospel message is clearly expressed in the few short sentences found in 1 Cor. 15:1-5. The need for Christians to reach out to the ‘social outcasts’ of this world is true and important. God’s love, John 3:16, for lost sinners is a message of hope for all no matter how ‘fallen’ they have become in their depravity. As is the normal practice the lesson for today centers on a Ellen White quote without using Scripture to clarify or support her statements. The intent of this commentary is to reveal the peril of doing so. Phrases taken from the Ellen White quote found in the lesson will be followed by commentary. The above phrase is the first portion of the Ellen White quote found in today’s lesson that we will examine. The question that arises and needs to be addressed is; what is this hope or upon whose ‘work’ do we place this hope? The lesson Ellen White quote also includes this phrase: ‘placed him on his honor’. The accepted definition of this phrase is to be ‘under a moral obligation’. In-other-words, Ellen White means to say our hope rests on the moral obligation to behave in a certain way. Our hope is founded solely upon the steadfast action and promise of our Savior. It has nothing to do with God placing us on ‘our honor’ be behave or perform in a certain way. Our hope centers on the work and promises of our Savior in that nothing can separate us from God’s love. The source for learning of God’s ordained hope for Christians can be found only in the Bible which is the inspired holy word of God. The hope of Christians is founded upon nothing more and nothing less than the simple gospel message of Jesus. Our salvation, the hope of eternal life, is not the result of fulfilling our ‘moral obligation’. All sinners regardless of social status are either still spiritually dead in their sins or redeemed by the covering blood of Jesus Christ. The hope that you share with others must be a real hope in your own life which is founded upon knowing nothing can separate you as a redeemed sinner from the love of God. Copyright 2014 BibleStudiesForAdventists.com. All rights reserved. Revised February 4, 2014. This website is published by Life Assurance Ministries, Camp Verde, Arizona, USA, the publisher of Proclamation! Magazine. Contact email: BibleStudiesForAdventists@gmail.com.